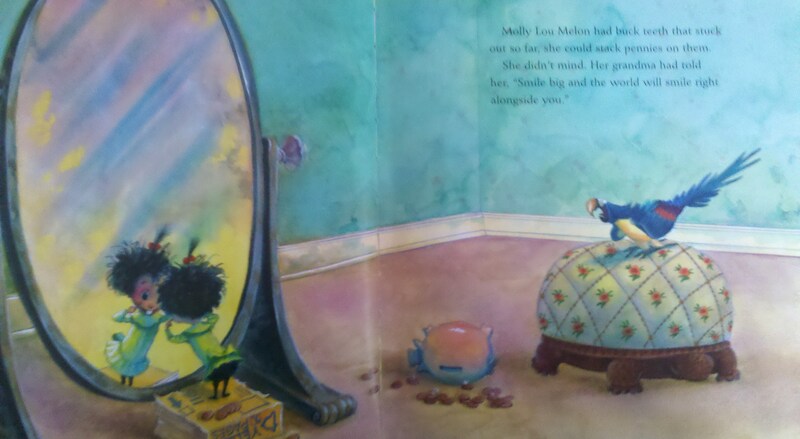 Molly Lou Melon is the shortest first grader, has buck teeth, sounds like a bullfrog, and is very clumsy. 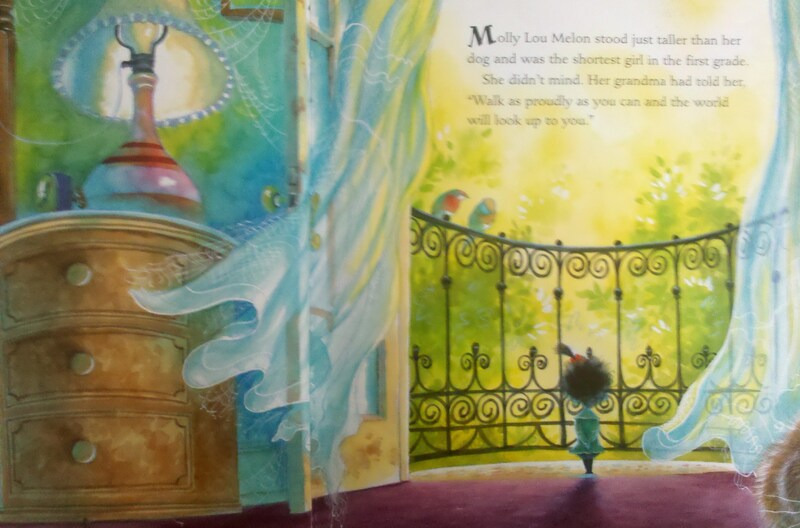 However, her grandma tells Molly Lou Melon to walk tall, smile bright, sing clear with joy, and believe in yourself. She attends a new school and a fellow student, Ronald Durkin, teases her. Molly Lou Melon proves that she can do anything as she’s a great football player, balances pennies on her buck teeth, and makes beautiful paper snowflakes. Ronald Durkin feels foolish that Molly Lou Melon accomplishes great tasks after teasing her. 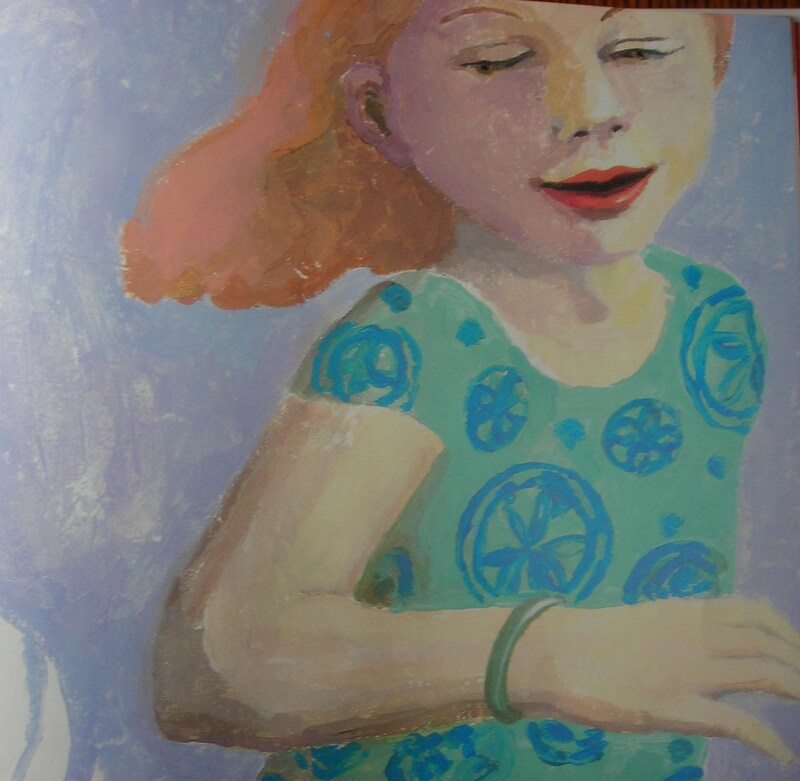 Stand Tall, Molly Lou Melon is a great book to teach children to be proud and confident about who they are. 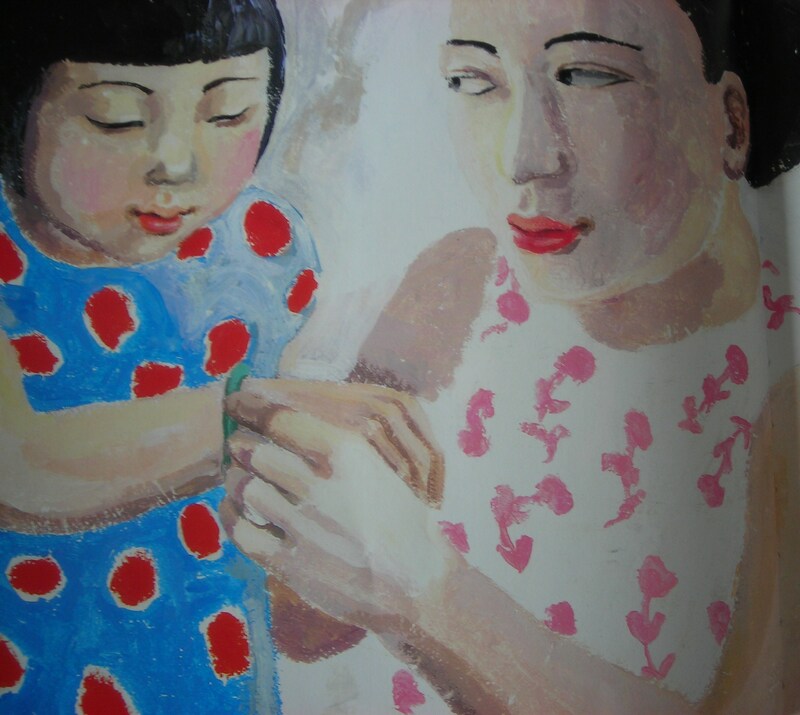 The pictures are bright, colorful, and fun. 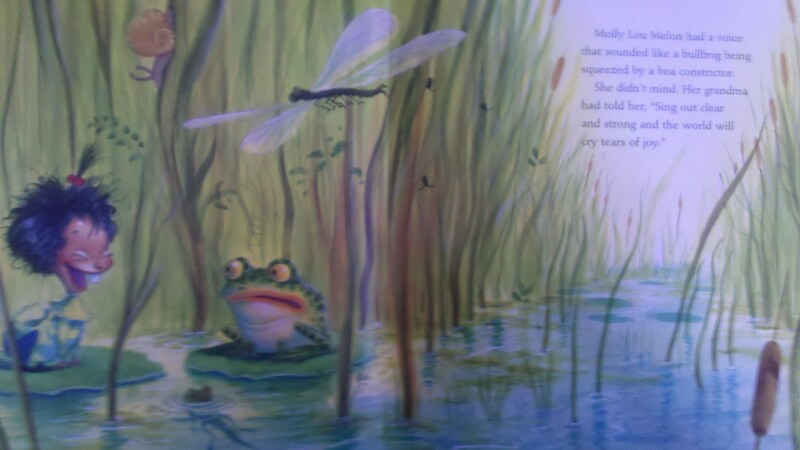 This entry was posted in Ages 4-6, Book Review, Children's Book, Picture Book and tagged Book Review, bullying, children's book, confidence, picture book, postaday2011, Stand Tall Molly Lou Melon, teasing. There are many forms of bullying and one aspect is the bystander who doesn’t say or do anything about it. Say Something follows the viewpoint of a girl who notices students being teased, pushed, and called names but she doesn’t say anything. She moves to the other side of the hall or sits away where others are being bullied, yet the teasing still continues. One day she’s forced to sit alone at lunch and students laugh with her, but then she realizes that the jokes are about her and starts crying. When the students leave she notices that students she knows were nearby, but didn’t say anything. She explains to her brother that she’s upset at the kids at the table. He responds back “Why? They didn’t do anything.” The next day, the girl starts a conversation with a girl who others teased and discovers she’s quite funny. 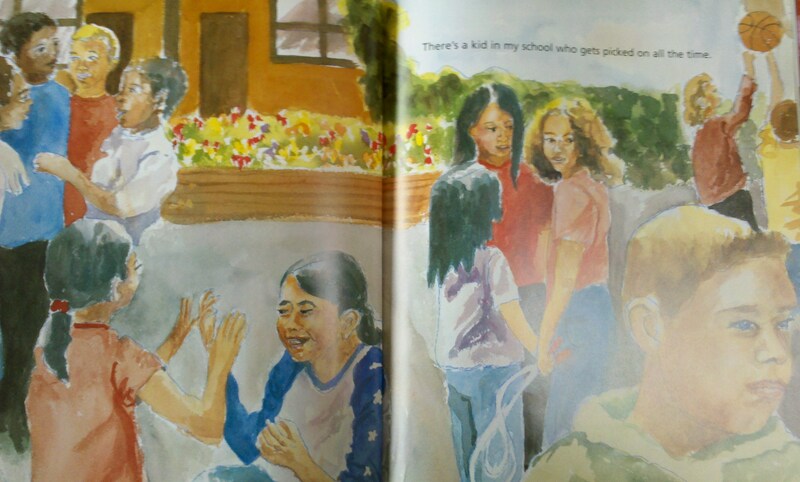 The book’s conclusion is brief, so there can more discussion about what happened to other students. 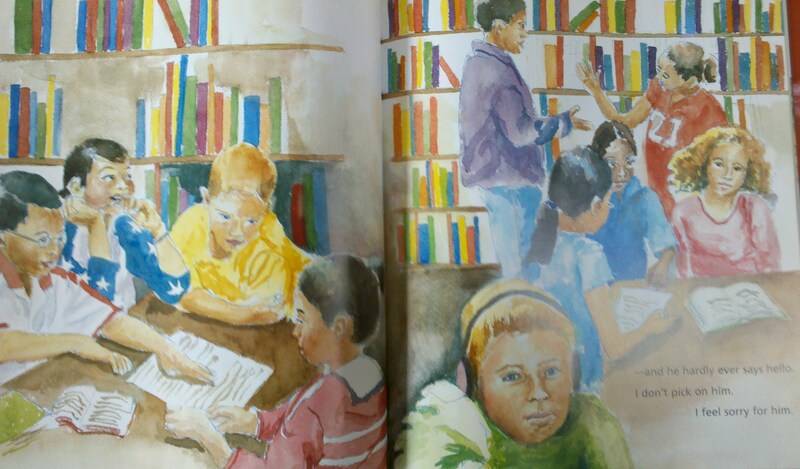 The book provides details about how you can make a difference when you see someone being teased. Say Something won the Teacher’s Choice Award in 2005. 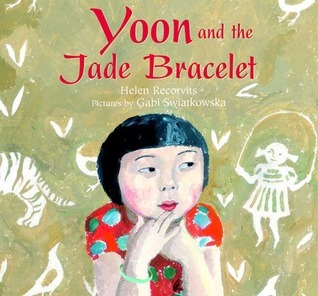 This entry was posted in Ages 6-8, Book Review, Children's Book, Picture Book and tagged Book Review, bullying, children's book, Lea Lyon, Peggy Moss, picture book, postaday2011, Realistic Fiction, Say Something. 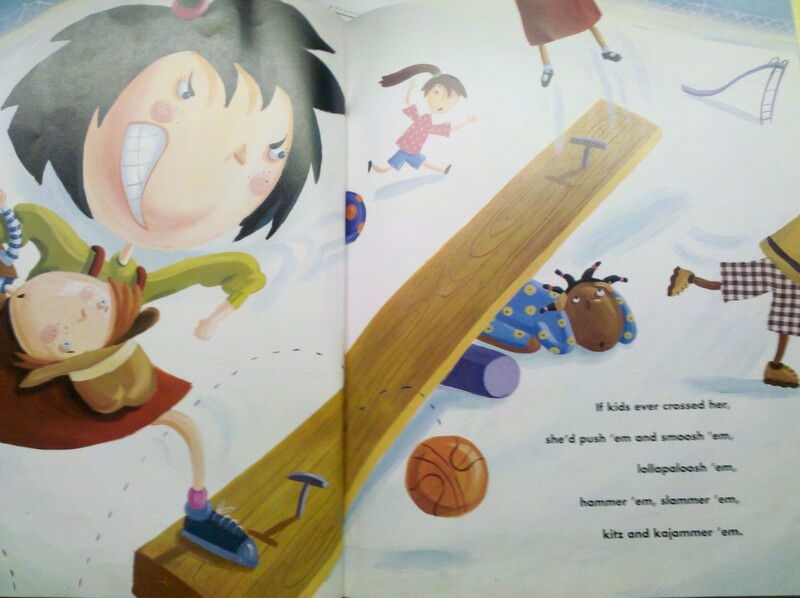 I think Just Kidding is a great book to use for bullying, because often teasing goes too far and it is no longer funny. The book provides teasing dos and don’ts, additional information about what to do when you are bullied, and story questions for discussion. 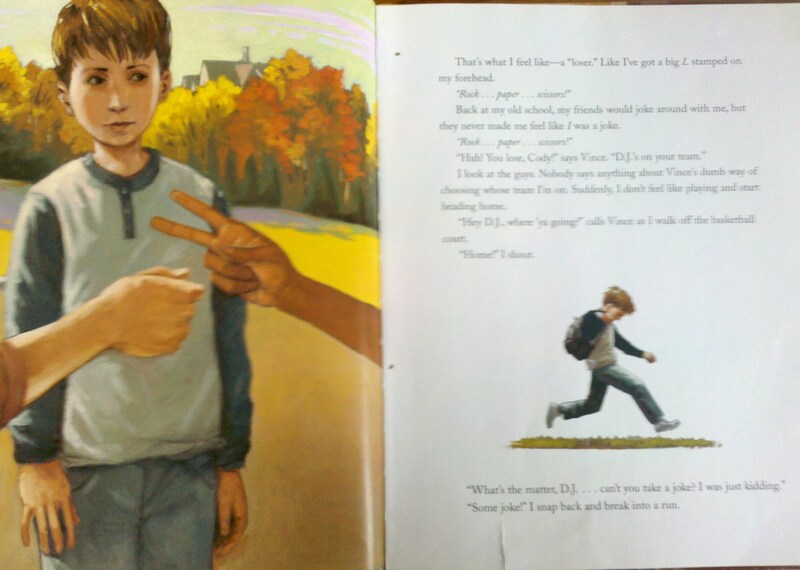 I like that this book highlights the child speaking to adults for help. Children are often afraid to come forward about bullying and teasing, because they have fears to be labeled a tattle teller. Don’t get me wrong. It’s fun to kid around with your friends and family. But I learned the hard way that when a joke has a sharp edge to it, it can cut you to pieces. 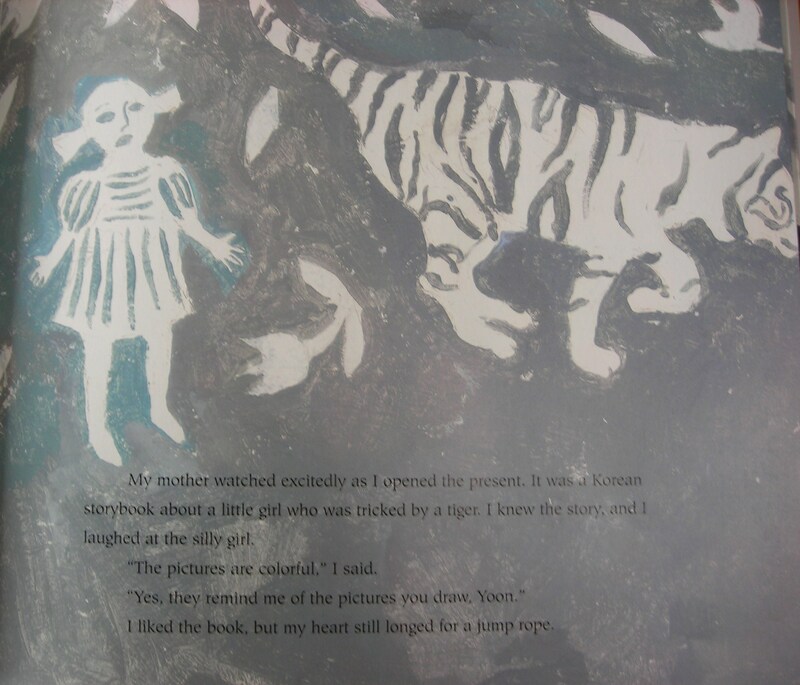 This entry was posted in Ages 6-8, Book Review, Children's Book, Picture Book and tagged Adam Gustavson, Book Review, bullying, children's book, Just Kidding, picture book, postaday2011, Realistic Fiction, Trudy Ludwig. Mean Jean was the recess queen who controlled everything at recess. Nobody kicked or bounced a ball, until Mean Jean got there first. If anyone got in her way, she’d push them. 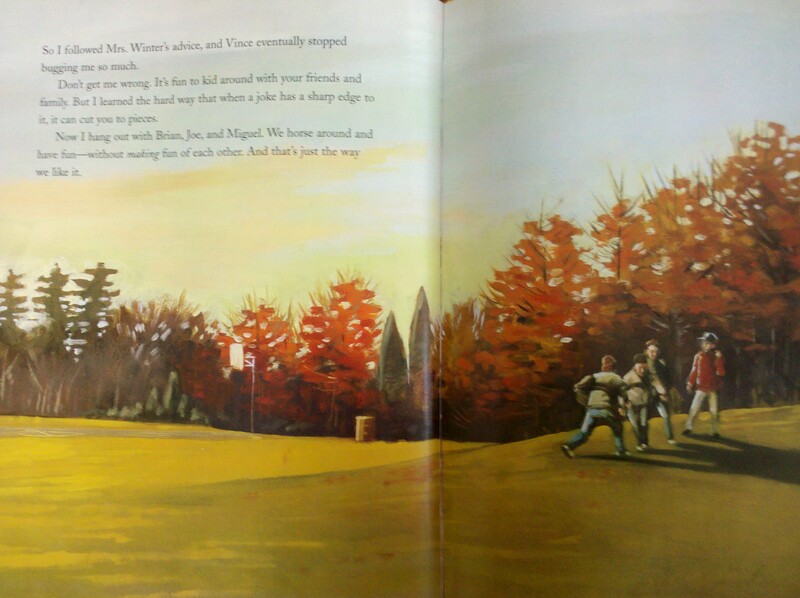 This changed when a new student, Katie Sue, arrived at school who wasn’t intimated by Mean Jean at recess. Katie Sue was too new to know anything about Mean Jean. Mean Jean continued bullying other students at recess. Katie Sue then asked: “How did you get so bossy?” Katie Sue grabbed the ball and bounced away. Finally, Katie Sue asked Mean Jean if she’d like to jump rope: “I like ice cream, I like tea, I want Jean to jump with me!” Now, recess time is different as children play together and Jean doesn’t push or bully anyone. Bullying is a very serious issue that unfortunately occurs and children often have difficulty handling it. I liked this book, but I had a problem with Katie Sue taking the ball and almost teasing Mean Jean that she now has the ball and nobody can stop her. Two wrongs don’t make a right. However, Katie Sue started a friendly activity when she asked her to jump rope. 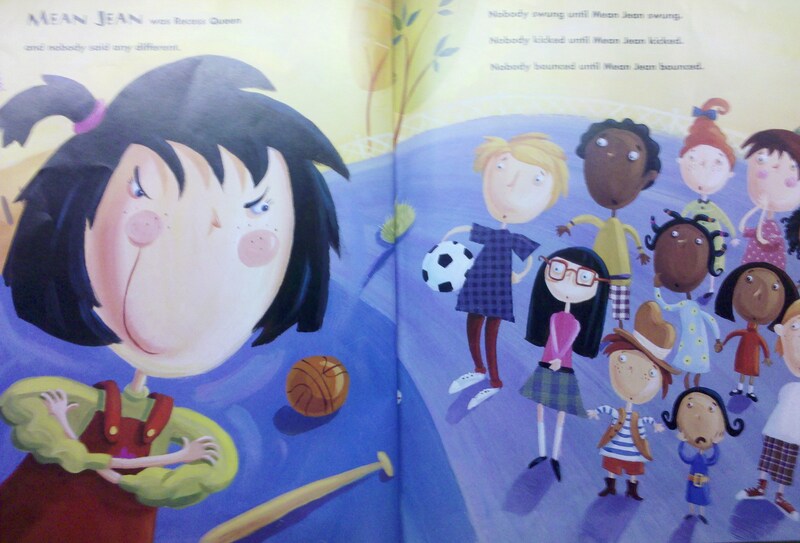 The Recess Queen is a good book to introduce playing fair and not bullying others. 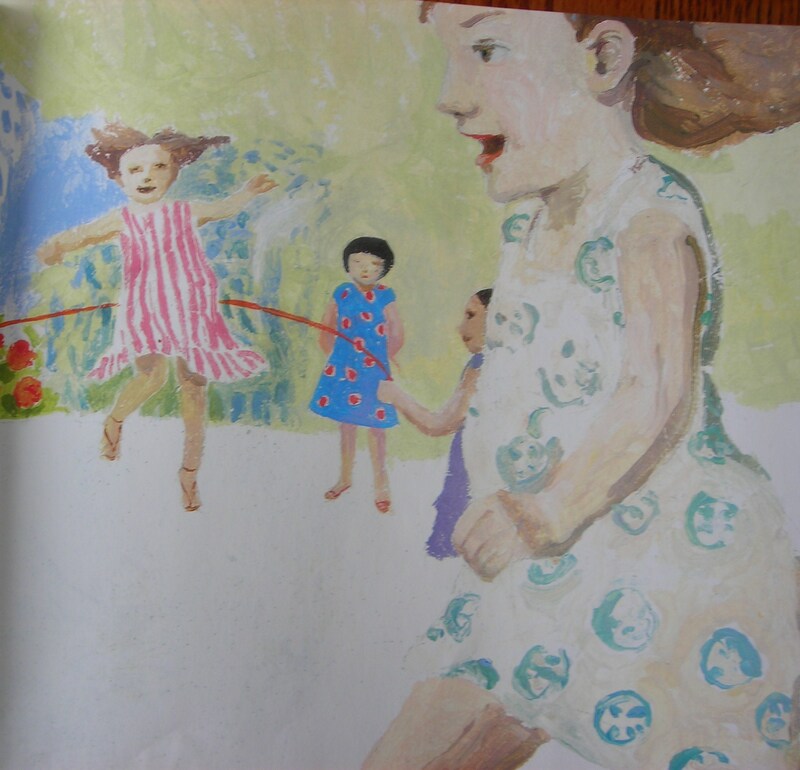 This entry was posted in Ages 4-6, Book Review, Children's Book, Picture Book and tagged Alexis O'Neil, Book Review, bullying, children's book, Laura Huliska-Beith, making friends, picture book, playing fair, postaday2011, Realistic Fiction, The Recess Queen. 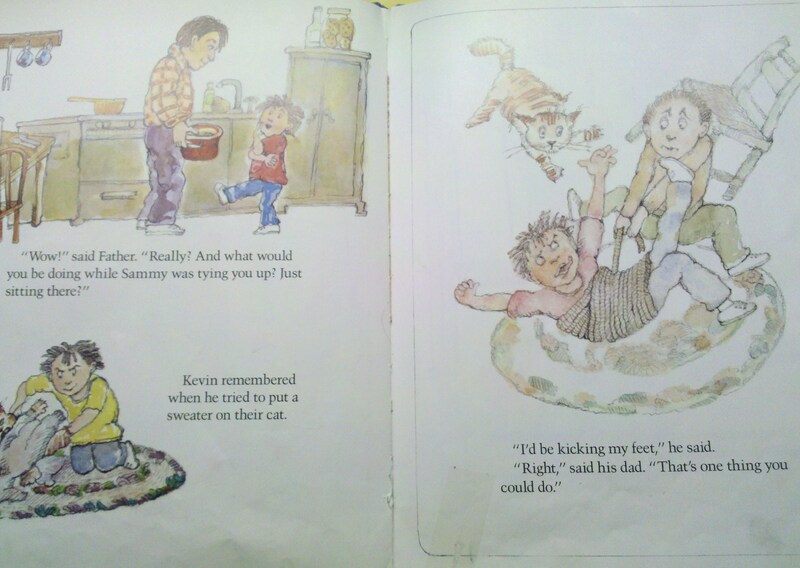 Kevin loves playing at the playground, but only if Sammy isn’t there. 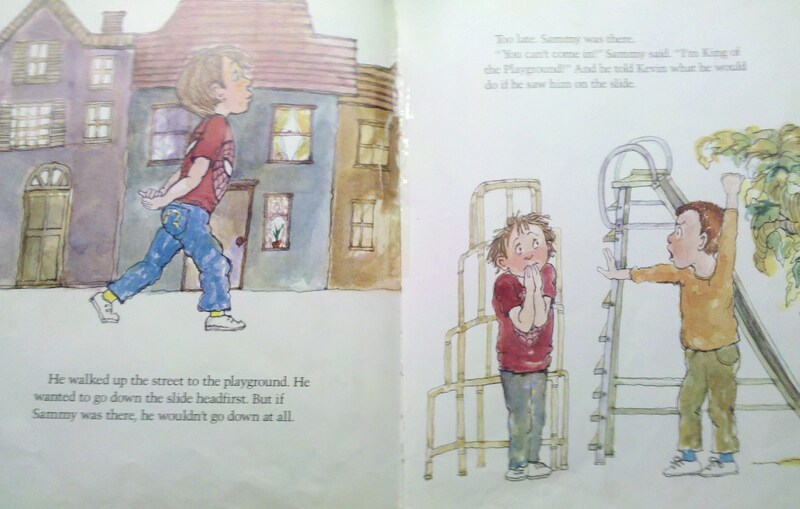 Every day Kevin goes to the playground then Sammy states that he’s the King of the Playground and he controls what Kevin can do. 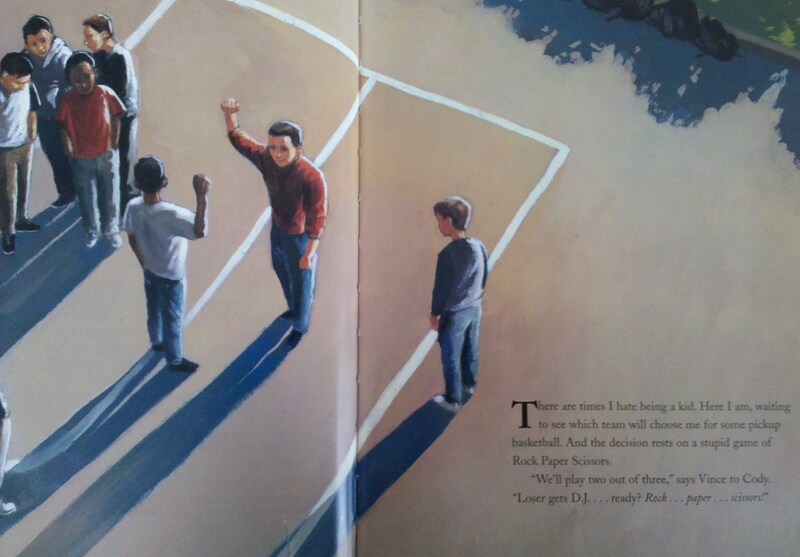 Each time that Sammy puts him down and says he can’t play he tells his father about the problem. 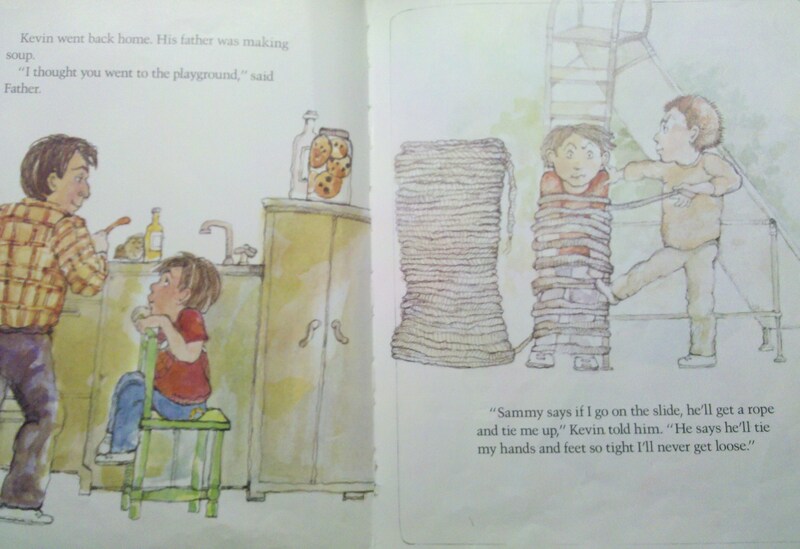 Kevin’s father makes him understand that Sammy is basically telling tall tales and he’s not really going to tie him up, dig a hole and bury him, or nail all the windows and doors shut. Finally, Sammy says that he’ll put him in a cage with bears then Kevin lightly responds that he’ll just teach them tricks or make himself slide through the cage. Kevin gives Sammy a friendly challenge to try to dig a tunnel in a sandbox. Sammy doesn’t admit that digging a tunnel isn’t possible, but eventually they work together to build towers in the sandbox. 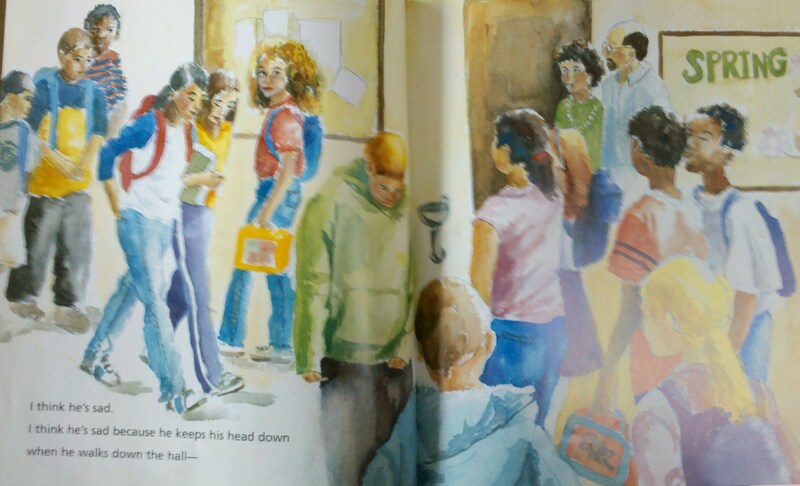 This entry was posted in Ages 4-6, Book Review, Children's Book, Picture Book and tagged Book Review, bullying, children's book, King of the Playground, Nola Langner Malone, Phyllis Reynolds Naylor, picture book, postaday2011, Realistic Fiction.